What did you do there? For the Fall term, I worked in the field and series unit, which allowed me to work closely with producers on stories and segments for the show. I was able to conduct research, pitch stories, gather elements, assist on field shoots and produce. This semester, I am interning at the Times Square Studio, where I assist producers on live segments while escorting guests to their dressing rooms, which allows me to build my network. How did you get your internship? I never gave up when applying. This was my third time applying and each time I got a rejection email, it motivated me to continue working harder. What projects did you work on? I was able to help out one of GMA‘s coordinating producer with a piece about social media ‘detox’, featuring 10 teenage girls. I organized elements, transcribed interviews and ensured that the girls posted about their experiences on a daily basis. It was cool to see the piece go on-air and see what it takes to make a story come to life. What was the coolest thing that happened during your internship? Getting to meet one of my idols, Mariah Carey, is the highlight of this internship. Also, making my GMA debut on Black Friday for a deals segment was surreal. What did you like most about your experience? I love that GMA allowed me to be hands-on with many of their projects. They trust their interns to be a part of the process, whether it is pitching an idea, producing a story or interviewing sources. I recently pitched a piece on a woman who met her sperm donor a decade after giving birth to his child and how they fell in love. Producers loved the pitch, and I got to see it on-air the following week. What did you learn about yourself? I am not perfect and it is okay to make mistakes while learning from them. How did you expand your professional network? I got to meet many professionals who are doing what I want to do. I even had the chance to sit down with FIU alumnus Gio Benitez, who is an ABC News Correspondent. He gave me great advice on how to navigate my internship and my career. How did it help you prove yourself in the “real world”? 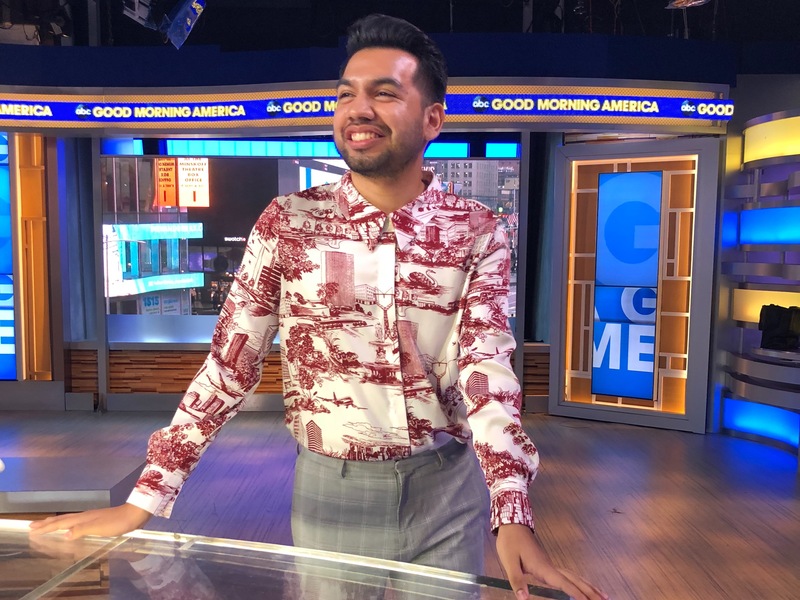 Interning at GMA has given me the confidence and validation that I want to work in the entertainment and television industry. I am grateful that I get to experience an opportunity of a lifetime. What advice do you have for those beginning the internship process? You can work for your dream internship, anywhere in this world. It does not matter what school you come from, as long as you work hard and build your résumé to accomplish that goal. I believe in you.